Sony Xperia series is among the world's most popular and even most loved Android smartphones. I am personally a big fan of Xperia, not because it's a Sony product but it has variety of features which other manufacturers may not provide at the reasonable rates. In my previous articles, I had already discussed some of the Xperia features such as low-battery mode, stamina mode and diagnostics application. These built-in tools makes it unique and different from others. Moreover, Sony Xperia smartphones are very good in performance. Above all, good thing is that they are waterproof. 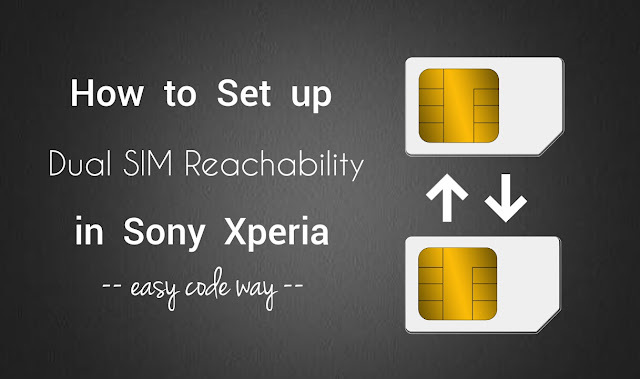 If you also have a Sony Xperia phone, you might have found an option in your phone settings named as "Dual SIM Reachability". So what does it means and what it actually do? 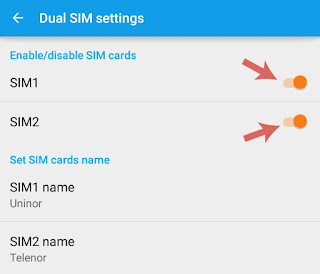 Here's all what you need to know about this feature and how you can set up dual SIM reachability in your phone. What is DSDA and DSDS? Sony Xperia smartphones can be categorized in two ways: DSDA and DSDS. 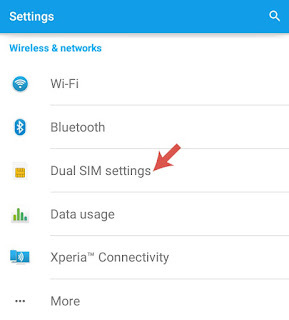 DSDA stands for dual SIM dual active. In DSDA supported devices, if you're active on an ongoing conversation in one SIM, you can still receive calls on other SIM at the same time. In simple words, both SIMs will be active simultaneously and they can receive calls even when other SIM is in use. While on the other hand, in case of dual SIM dual standby (DSDS), if one SIM is engaged in a call, other SIM will be disabled temporarily. You can't handle two calls on two different SIM cards simultaneously. Currently, most of the Xperia devices only support Dual SIM Dual Standby (DSDA) which includes C, E, M, T, Z and X series phones. 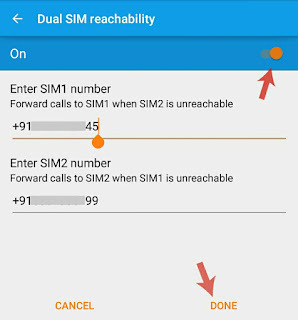 What is dual SIM reachability? When dual SIM reachability is enabled, your phone will forward the call from one SIM to another when one of them is engaged in a call. 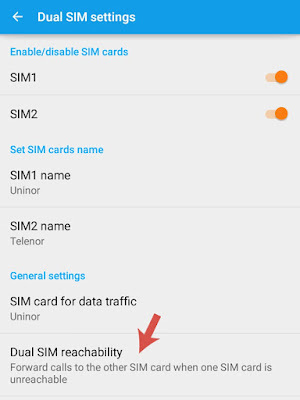 As already mentioned, in DSDS supported devices, when one of the SIM is engaged in a call, other SIM will be disabled automatically. This is where dual SIM reachability feature can help you. Even if SIM 2 is disabled, your phone will automatically forward all its incoming calls to SIM 1 and thus you can answer them by putting ongoing call on hold. Note that, dual SIM reachability make use of call forwarding feature. So before using it, first make sure that your network operator supports call forwarding. Another important thing is that, you can't forward calls between two SIM cards from different countries or regions. Under General Settings, click "Dual SIM reachability". Now it will sync settings which will take few seconds. After this, switch on the button at the top-right corner of the screen and then tap "Continue" button to enable this feature. Either it will automatically add your phone numbers or you have to enter them manually. Make sure to recheck them at the end. Finally tap "Done" button and that's it. Tip: In online forums, I have seen many people complaining about the network problem after enabling this feature. If same is in your case, simply turn it off as it may be due to some technical problems, which you can't troubleshoot by yourself. Sometimes you want to disable SIM cards right from your Android phone without unplugging them physically. Sony has an in-built option to do this. First go to "Settings > Dual SIM Management". Now switch off the button next to the SIM card you want to disable. If the current SIM is active for data traffic, you'll find a pop up box asking you for the permission to disable it. Simply click OK button and that's it. br /> If you want to enable them again after some time, go back to the same settings window and switch on the buttons. Furthermore, you can also change the SIM card names and data traffic option. This is all what you need to know about new Sony's dual SIM reachability feature. So what are you waiting for? Go and try it now. Do share your experience with us. If you've some questions in your mind, feel free to ask me in the below comment box.